062918 - Senator Elder Vogel, Jr.
Last week, the Senate approved a fiscally responsible budget, House Bill 2121, which was then signed by Governor Wolf. The budget holds the line on spending, increases funding for education and school safety initiatives, and includes no new taxes. Today we find ourselves on stronger financial footing than in any year in recent memory. That turnaround is a testament to the principles that have guided us through all of the recent years’ budgets – limited spending and avoiding tax increases. For the first time in over a decade this budget allocates money to the state’s Rainy Day fund. The Legislature has crafted this year’s budget with no new taxes, as we cut more than $270 million from the Governor’s original proposal, while still providing for critical services and programs. The final spending total of $32.7 billion is just $560 million (1.7 percent) over the current year’s spending, below the rate of inflation and well within the limits prescribed in the Taxpayer Bill of Rights. A significant part of the new spending is devoted to education. The budget increases funding for basic education by $100 million, Pre-K Counts and Head Start by $25 million and special education by $15 million. Higher education is also a priority in the budget – the State System of Higher Education funding will increase by 3.3 percent, and funding for state-related universities will increase by 3 percent. Community colleges will also see a 3 percent boost in funding. 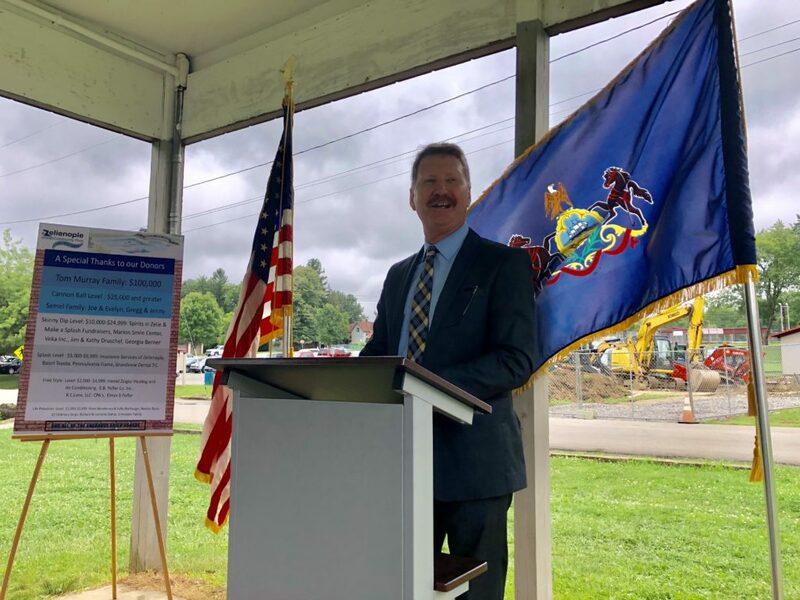 Finally, there is an additional $30 million for Career and Technical Education to ensure Pennsylvania’s workforce keeps pace with the demands of the labor market. Human Services programs saw additional funding for individuals with intellectual disabilities, home and community-based services for an additional 5,230 seniors and those with physical disabilities; child care services to an additional 1,600 children; and home visit services for 800 families impacted by the opioid epidemic. The budget also gives the Department of Agriculture $10 million more then what was proposed by Governor Wolf in February. The Governor’s original budget plan would have cut a number of critical Agriculture items. Thankfully, we were able to restore those proposed cuts to programs like Spotted Lanternfly Control, Agriculture Excellence, Agricultural Research, Hardwoods Research and Promotion, Food Marketing and Research and more. If you have any questions or desire more information, please call my office at 724-774-0444. A comprehensive, bipartisan school safety bill will dedicate significant new resources to help prevent school violence. Senate Bill 1142 received final legislative approval on June 22nd and establishes the Safe2Say program, discussed in my last e-news. Safe2Say is an anonymous way to report suspicious or unsafe activities in schools. The bill also creates a new $60 million School Safety and Security Grant Program to complement a $10 million school safety grant program that was created in 2013. These programs will fund a variety of initiatives including: hiring school police officers, school resource officers, counselors and/or mental health counselors, alternative education and diversion programs, violence prevention initiatives, school safety and emergency preparedness plans, and physical upgrades to school buildings and equipment to improve safety. The measure also directs the Pennsylvania Commission on Crime and Delinquency to develop school safety assessment guidelines and it requires schools to provide employees with mandatory training on school safety and security. The Senate will be scheduling more hearings over the summer to gather input from various stakeholders regarding additional steps that can be taken to improve school safety. For more information or questions regarding the bill, please call my office at 724-774-0444. Recognizing the importance of agriculture to Pennsylvania’s economy, the Senate has passed several measures to support farmers and as Chairman of the Senate Agriculture Committee, I held a hearing to explore ways to promote the dairy industry. This public hearing included a detailed discussion about the current state of the dairy industry. Dairy farming and growth in agriculture needs to be a priority. Supporting the agriculture community in Pennsylvania takes action. Helping farmers thrive means our local economies can grow and succeed. The dairy industry supports 52,000 jobs and contributes $14.7 billion to the state’s economy. Pennsylvania is fifth in the nation for milk production. Dairy farmers face low prices for milk, increasing production costs and a market where supply outpaces demand. Dairy prices have decreased 40 percent from about $25 per hundredweight in milk in 2014 (100 pounds or 11.6 gallons of milk) to about $15. Among the Senate’s efforts to search for solutions, we approved three Resolutions to protect Pennsylvania’s dairy industry. Senate Bill 819 would ensure agritourism activities – such as farm tours, hay rides and corn mazes – are authorized on farms that are part of the state’s farmland preservation program. Currently, some county farmland preservation boards prohibit farm owners from offering such agritourism activities. Senate Bill 819 would set a uniform standard across the state, allowing farmers to take advantage of the growing popularity of agritourism. Also, Senate Bill 1171 gives farmers greater input on proposed environmental regulations that could impact their farms. The budget also includes $3 million to combat the spread of the Spotted Lanternfly, an invasive species that threatens the grape, hops and logging industries. Products in 13 Pennsylvania counties remain under quarantine to prevent the pest from spreading to other parts of the state. This Saturday, June 30th, my office will be holding its annual Kids Extravaganza at the Community College of Beaver County Athletics and Events Center. The Kids Extravaganza is a fun and free way to gain valuable information on programs and benefits available for your family and children. The Kids Extravaganza will have representatives from state, county and local organizations as well as free refreshments. The groups attending include the Pittsburgh Zoo, who will put on a small demonstration, PA Woodmobile, which provides education on PA’s forests, River Valley Tang Soo Do Academy, Ambers Amazing Balloons and the Hookstown Fair Queen and Princess. There will also be a variety of games, crafts, giveaways and door prizes! Local favorite ‘Hanks’ will be offering free samples of their frozen custard. There will also be a prescription drug take back box provided by District Attorney Dave Lozier. The Extravaganza will be held from 11am-2pm at 1 Campus Drive, Monaca, PA 15061. This is an indoor event and will be held rain or shine. We encourage everyone to attend and look forward to seeing you all on the 30th! For more information please call my office at 724-774-0444. It was a pleasure to participate in the groundbreaking ceremonies for Zelienople’s new community pool. Senate Bill 1095 now goes to the House of Representatives for consideration. For more information please call my office at 724-774-0444. Senate Resolution 326 encourages Congress to recognize the Eastern Legacy of the Lewis and Clark National Trail for its historic national significance. The Eastern Legacy follows the Ohio River from Pittsburgh, Pennsylvania to Louisville, Kentucky. It was near Pittsburgh that Lewis began keeping historic journals, including references to several Pennsylvania sites, as he traveled on to meet up with William Clark and continue their journey to the West. 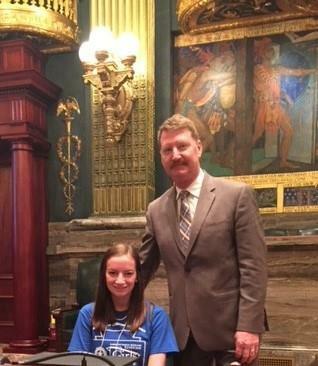 It was a pleasure to meet Jenna Chirichetti of Beaver Falls during her visit to the Capitol with Keystone Girls State. The PA Department of Community and Economic Development will be accepting applications for 2018/19 Keystone Communities grants from July 2nd to August 31st. The Keystone Communities (KC) program is designed to encourage the creation of partnerships between the public and private sectors that jointly support local initiatives such as the growth and stability of neighborhoods and communities; social and economic diversity; and a strong and secure quality of life. The program allows communities to tailor the assistance to meet the needs of its specific revitalization effort. Communities may wish to consider designation through the KC program as a Keystone Main Street, Keystone Elm Street, Keystone Enterprise Zone, or Keystone Community. Designation is an opportunity for targeted investment and development including the identification of specific needs for investment and/or development and the design and implementation of a strategy to address those needs. For more information on grant process please click here. Legislation recently passed by the Senate to help local redevelopment authorities fight community blight is now law. Act 33 grants redevelopment authorities the same powers as land banks, allowing them to acquire tax delinquent properties at a judicial sale without competitive bidding. The legislation would also enable redevelopment authorities to discharge tax liens on blighted properties, making it easier to attract new owners who will rehabilitate the property. This bill will provide benefit to those municipalities with active redevelopment authorities, particularly those that are already actively engaged in blight elimination and redevelopment initiatives; while saving time, money and precious resources on the creation of new duplicate boards, audits, committees, bylaws, and other mechanics that may stymie ongoing redevelopment efforts. For more information on this bill click here or call my office at 724-774-0444. Reminder for Dog Owners that Libre’s Law protects illegally tethered dogs from extreme temperatures in the summer, as well as winter. 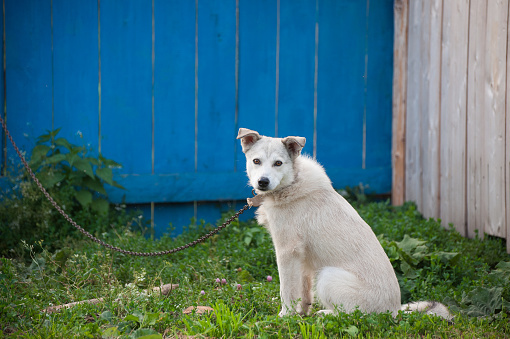 The 2017 state law restricts tethering to less than 30 minutes when the temperature rises above 90 degrees Fahrenheit and drops below 32 degrees. Penalties for violating PA’s dog law range from a summary offense to a felony of the third degree. Fines, depending upon the violation, may range from $5,000 to $15,000. For more details on Libre’s law please click here for a fact sheet or call my office at 724-774-0444. Construction for the Wises Grove Road (Route 1014) bridge, spanning Brush Creek in Marion Township, Beaver County, is scheduled to begin during the week of July 9th and be completed late October. During this time, drivers will be directed to follow a detour along Dogwood Drive (Route 1029), Tulip Drive (Route 1016) and Brush Creek Road (Route 1019).